Harvey Electrical Services design bespoke lighting to meet the individual needs of our customers. Customer satisfaction is always our number one priority at HES, whether we are working in a house, commercial unit or factory. Lighting can be installed indoors or outdoors and all parts and labour are guaranteed for 12 months. 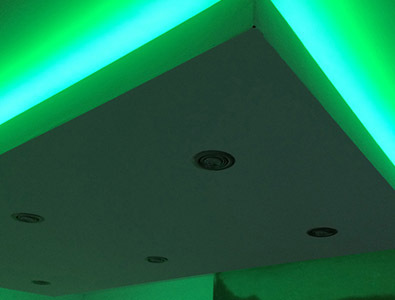 For all of your bespokely designed specialist lighting get in touch with our team at Harvey Electrical Services who provide lighting to meet any of your electrical requirements. Whether you are in need of lighting for your home, commercial unit or factory, HES can supply and fix it for you. We can even installing specialist lighting schemes for outdoors. We have our finger on the pulse of lighting schemes and we may be able to help you in getting the right lights fitted in the right way for your business.